I’ve finished something. It’s been a while. This is the first of the green men. No, not little green men… Green Man men. I love this, Mimi! 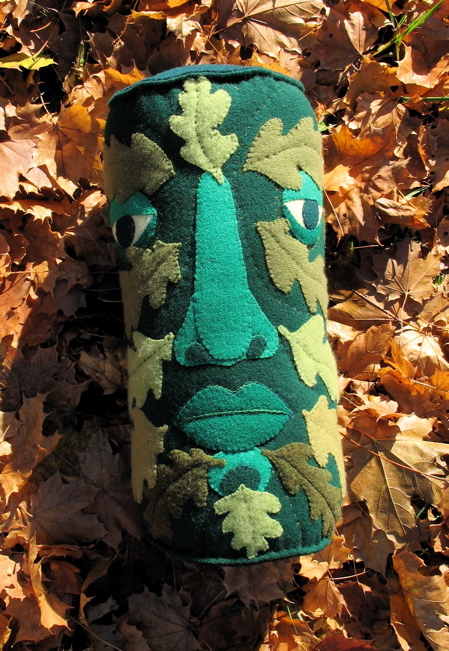 So beautiful and of course, I love the legend of Green Man. How beautiful! It’s like a forest totem. I love your work and enjoy your blog. What a true man he is. Handsome and stong and so beautifully done. Your aratistry is exquisite. oh, I love him Mimi! He has wonderful texture. non ho parole per i tuoi capolavori! dimmi, solo per togliermi questa curiositÃ , cosa servono?? a parte le bambole ma il GREEN MAN Ã¨ solo per bellezza??? 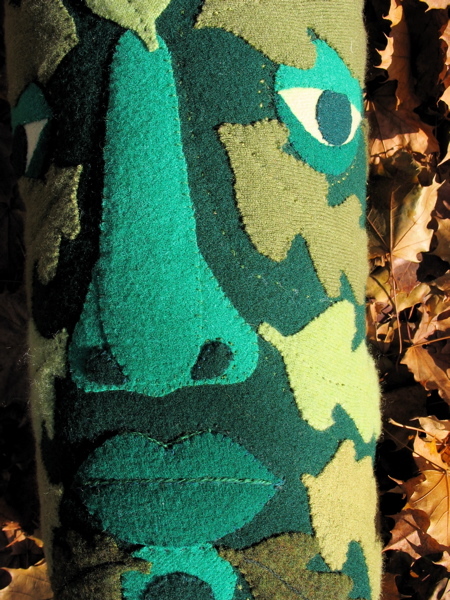 What a wonderfully inspired blending of your tikis and a green man. Perfect for these darkening days.